sirohi is surrounded and enfluenced by three traditional culture, Marwar, Mewar and Gujarat. So, its festivals and fairs are colourful. sirohi is a nice district situated at the south-western part of Rajasthan. The district is bounded by Pali district in the North-East, by Udaipur district in the East, by Gujarat State and Jalore in the West. It is the third smallest district of Rajasthan. The district derives its name from "Siranwa" hills on the western slope of which it stands. sirohi is one of the fascinating districts of Rajasthan offering some good places of tourist’s importance like Mount Abu, Sun Temple , Chandravati, Ajari Temple, Sarvadham Temple, Bamanvadji Temple, Pavapuri Temple etc. 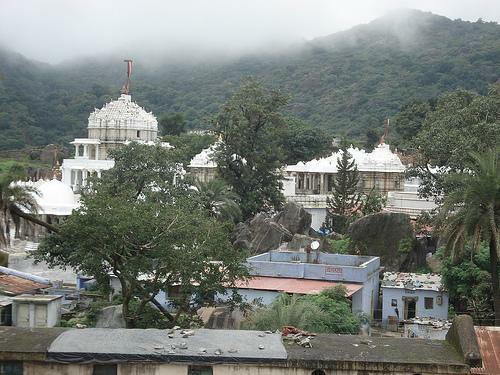 In sirohi district Mount Abu is as diverse as the city itself. It was once a part of the Chauhan kingdom of Rajasthan and served as a summer resort for the Rajput kings of the region. In Mount Abu Nakki Lake is a very nice lake it's Innumerable attributes are crowned on the head of this intriguing lake. For diehard Abuphills it founts from the centre of the earth , On one hand if it is the largest manmade lake at the height of 1100 meters in India then on the other hand it is romantically called the love lake of Mount Abu at the same time it is the sacred lake for the proud Garacia tribe. The later come to the lake on their festival in Shukla Paksha in April to worship and remember their ancestors, and consecrate their nails . Mount Abu is a green oasis in the barren deserts cape that's Rajasthan. Situated at the southern tip of the Aravali range, the hill retreat owes its cool climate to its rich flora covering the entire hillside that includes coniferous trees and flowering shrubs.